Elvira 3-D Coffin Centerpiece will put the Mistress of the Dark front and center when you place one in your Halloween table display. Creepy coffin decoration opens to reveal Elvira beneath the door. Vibrant image of coffin and Elvira is printed on sturdy die-cut cardstock paper. Some assembly is required. 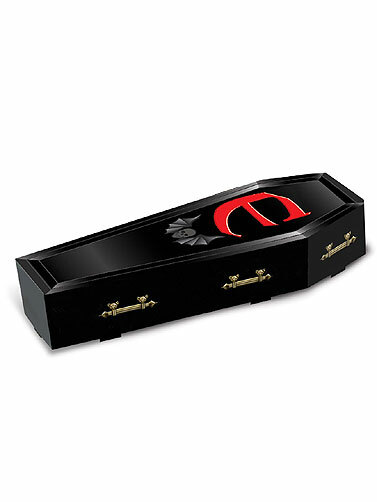 Elvira 3-D Coffin Centerpiece measures 13.5"H. 1 per pkg.